Some historical texts revolving around the life of Lady Umm Kulthum have been vague and distorted to the extent we are not very sure if she is buried at the graveyard of Bab Sagheer in Syria. I recall my first visit at the age of 12 left me wondering why was Sayyida Zainab’s shrine so grand and her sister’s so small? It hurt me to see how little we know about the fourth grandchild of the Holy Prophet (saw). However, over the years, I have seen scholars effortlessly researching on the life and role of Lady Umm Kulthum. Also known as Zainab as Sughra (the younger Zainab), The title Umm Kulthum was given to her by the Holy Prophet (saw) – which has been ascribed many meanings like mother of the beautiful, mother of the charming. The word Kulthum also means the silk on top of a flag. Umm Kulthum was also the name of the sister of Prophet Musa, who showed great bravery by protecting the life of her little brother. Likewise, Umm Kulthum bint Ali demonstrated bravery, insight and submission to the will of God. From a very young age, Lady Umm Kulthum had to face adversities that can shatter any child’s life. She bore the death of her beloved grandfather and then was left without a mother in a matter of weeks. The atrocious killing of Lady Fatimah and the tortures she had to brave through, that were so grave, it could turn the day to night – further added pain to the already grieved little hearts. Lady Fatimah’s words of advice to her daughters before she left the world were ‘My Will to you is to participate with your fathers and brothers to defend Islam. Melt yourself to your brother Hussain; his turn will come; he will be the person to carry the command of Allah (swt) and you will be participating with him at that time. You have to share with him everything that will befall his path; be prepared to face even captivity on his path! You have to be for your brothers care for then and be a mother for them.’ Hence from thereon, the two little sisters fully devoted their lives towards the religion of Islam as pillars of support for their father and brothers. Lady Umm Kulthum alongside her older siblings, watched how the enemies of her father plundered over the inheritance and snatched his right as the caliph yet they tirelessly defended their father through the harshest of situations the religion of Islam ever had to face. Just like Sayyida Zaynab, the two sisters treaded on the path of their beloved mother, teaching the women and kindly tending to their every problem alongside fully supporting their father. When the caliphate finally came to Imam Ali after 25 years, they all moved to Kufa where the family of the Prophet was greatly honored; akin to the status of royals. Despite that, they chose to live in a very humble home and together, they continued to preach Islam to one and all in the most eloquent and beautiful ways. 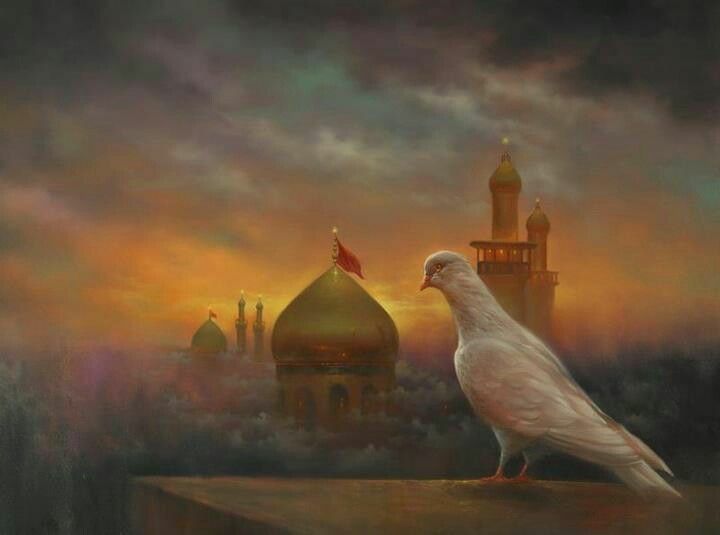 Upon her father’s martyrdom, she continued to defend and support her brother Imam Hassan whose caliphate was abdicated by Muawiyah and persistently continued to serve the religion through teaching the people of Kufa and then Madina again when they returned to the land of their Grandfather. She witnessed and faced a magnitude of hardships over her family yet, she stood strong despite the anguish when she had to see her brother die from the poison sent by Muawiyah. Each tribulation further prepared her for the greatest trial of her life – the tragedy of Kerbala and beyond.